Posted on June 17, 2013 . 5 Comments. The trainer I watched obviously had not listened. I came to the gym to help out a friend with his deadlift and I was early. I was killing time sitting on a machine in the corner and watching the circus. The trainer was going through his own workout. He took hold of a high cable attachment and hit a stance he no doubt thought “functional” and graceful. It looked like inspector Clouseau’s neko ashi dachi. 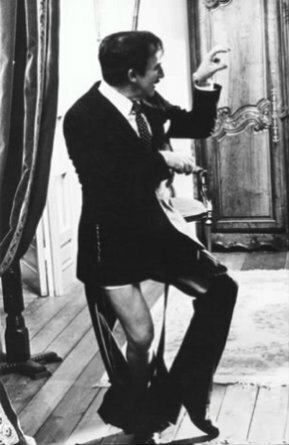 The only difference being, Peter Sellers was having fun and this character was serious as a heart attack. Inspector Clouseau’s neko ashi dachi. The trainer produced an enlightened facial expression meant to highlight the nobility of his character and cause. 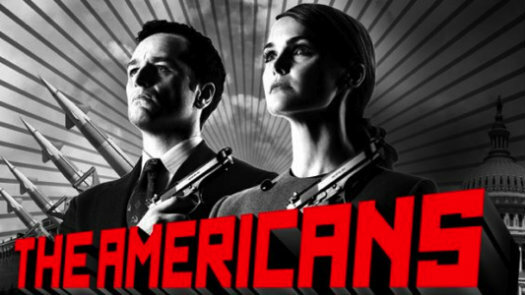 I had seen the same expression on the faces of the actors on a poster for the TV show The Americans. I think they are Soviet spies thinking about their undying love for Mother Russia. He checked his expression in the mirror, did a row, then leaped to the side, swinging on the cable like Tarzan, I kid you not. As he flew through the air, the fella folded his legs underneath him, an imitation of a flying kick. 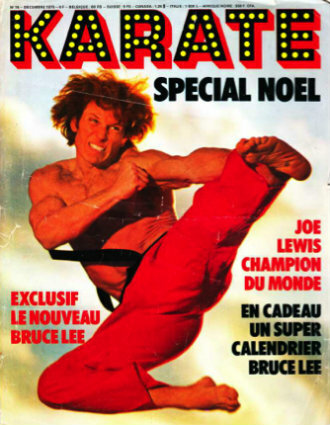 When I was a kid, my prized possession was a foreign martial arts magazine with Joe Lewis on the cover. This full contact karate champion was famous for his tobi yoko geri, the jump side kick. There he was, the right leg viciously extended, the left folded under, dispatching some unfortunate opponent to a better world. I have no way of knowing if the club trainer had seen Lewis’ kick, but his footwork suggested he had. The only problem was, he stung like a butterfly. He was so preoccupied with being graceful, he totally missed the point. Grace is not the goal but a side effect of a skilled performance. There is no question that a high-level athletic performance—unless it takes place in an artificial event like speed walking—looks beautiful even to the uninitiated. John Inzer’s or Maxim Podtinny’s deadlifts are poetry in motion. John Inzer and Konstantin Konstantinov. Several years ago, my wife and I had the pleasure of watching Mikhail Baryshnikov dance. Even though my mother is a former professional ballerina, I know exactly nothing about dance. Which did not stop me from being extremely impressed by my fellow countryman’s performance. 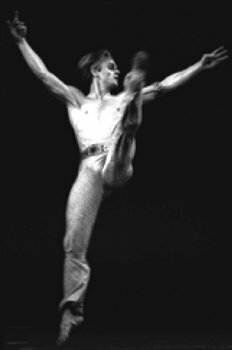 There was zero extra movement and every action was initiated from the center; Baryshnikov moved like a fighter. In contrast, the supporting dancers did something that jarred the eye. They threw their legs into the air and then wiggled their tails as an afterthought. Biomechanically it made no sense. Aesthetically it was offensive. They tried to be graceful. And grace cannot be contrived. Try to hold on to it, and it will elude you. 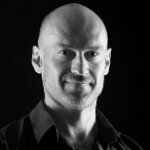 I have learned so much from Pavel’s books and DVD’s, More than I had learned from most of the “teachers” in my life. I wouldn’t be surprised if Baryshnikov did strength train using weights. With all the lifting that goes on in Classical Ballet, a turkish get up with a Kettlebell would be beneficial. No? It is said that Baryshnikov could jump over six feet (standing veritcal) on a good day. This fellow is in his footsteps. 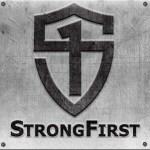 I would have to say these guys are “strong first” …..
One great post after another… is a compilation in the works? but kinda funny when you realize you just described yourself from the PTP video?